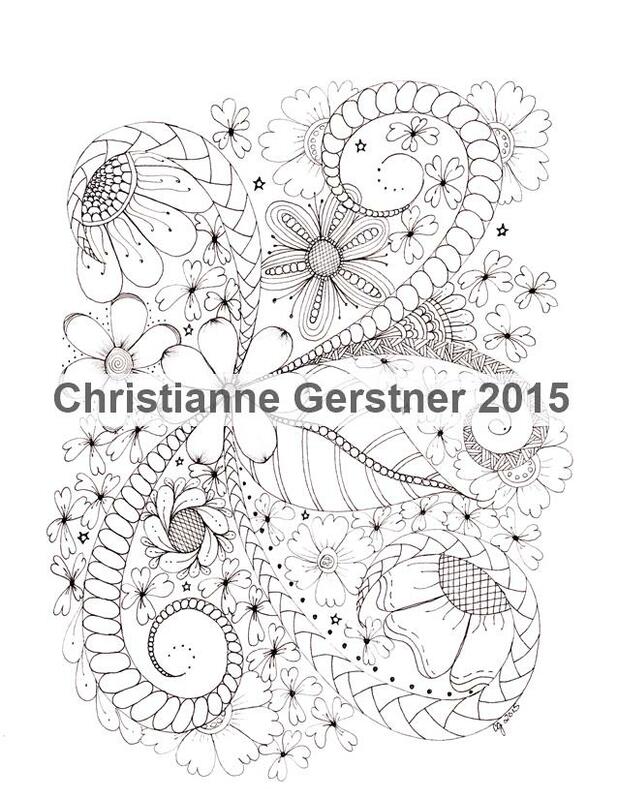 I was doing a little tangling today, trying to catch up on my Tangle-a-Day calendar and then I got bit by this bug…. So many tangles out there and I just got a bug to combine these two – Arukas meets Diva Dance – this was a ton of fun and I definitely will be doing this again! You can find Diva Dance, created by Maria Thomas to Celebrate Laura and her 100th Weekly challenge, HERE. I added in a bit of Mooka and some Tipple and Bronx Cheer-ish elements. 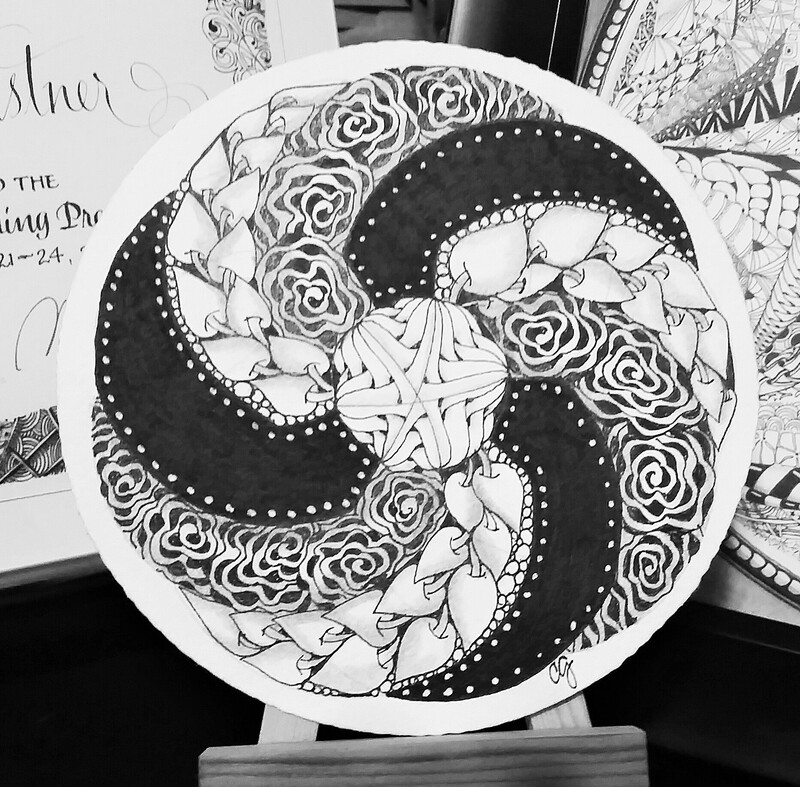 For the Love of Tangling July Challenge! 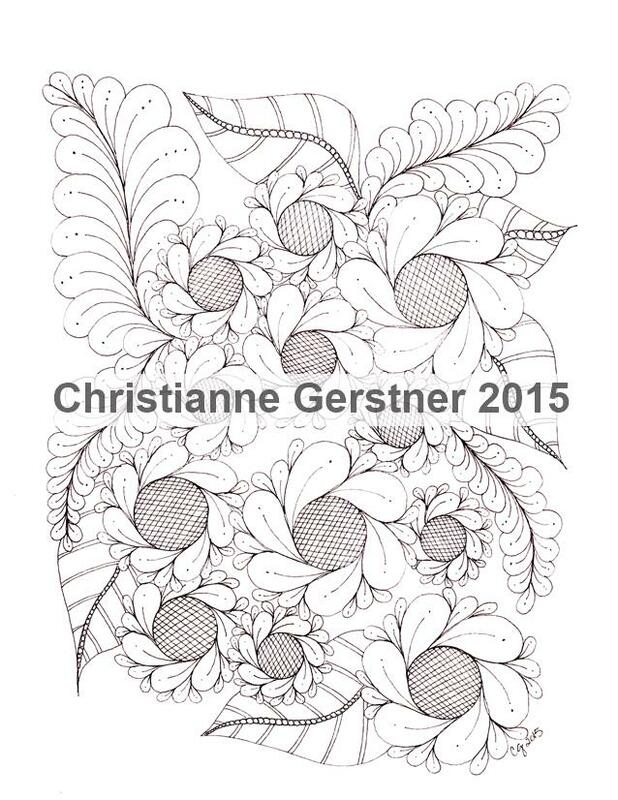 I have a group on FB, For the Love of Tangling, that’s been a lot of fun and it’s a wonderful group of people. We were having weekly challenges, but that was a little too much, so we’ve now gone to Monthly Challenges. 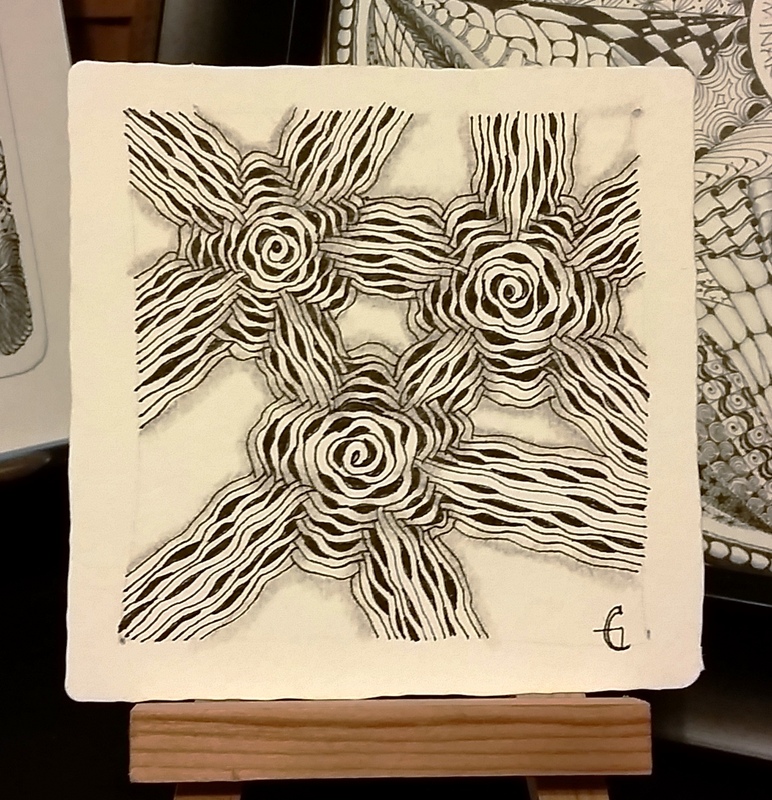 My inspiration for July’s Challenge was a tile I started at CZT Seminiar, one of the pre-strung Zendalas. I finished it this morning and Viola! 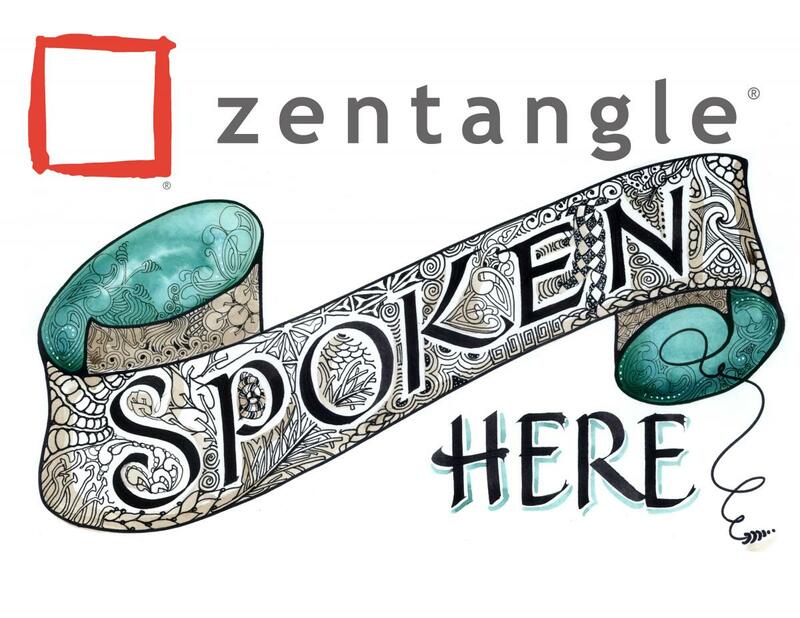 July’s Zendala Challenge is born! 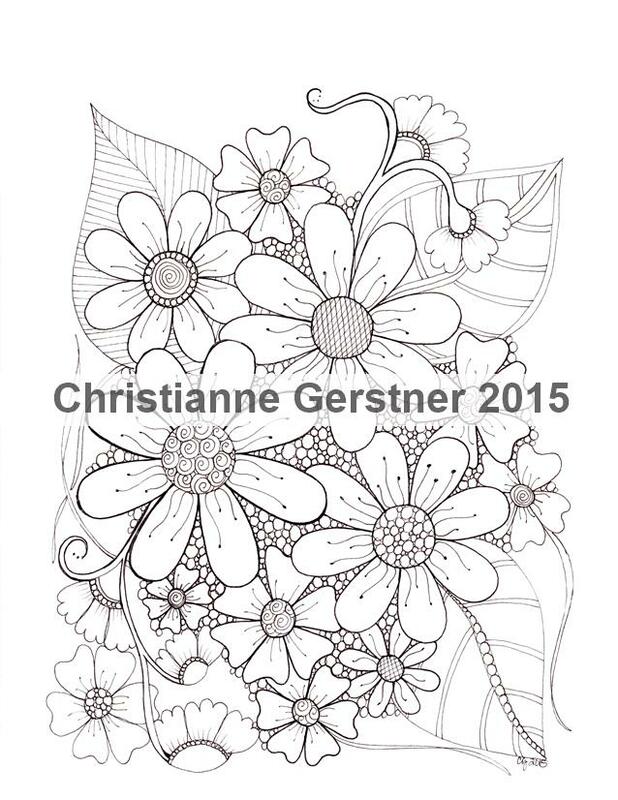 Patterns used here are Poke Leaf, Diva Dance Rock N’ Roll, and Betweed. Come on over and join us in the group and you can participate in the challenge! With a whole month to work on this, we should have a photo album just brimming with amazing! Do one – do more than one – prestrung, your own design, a template….go for it. 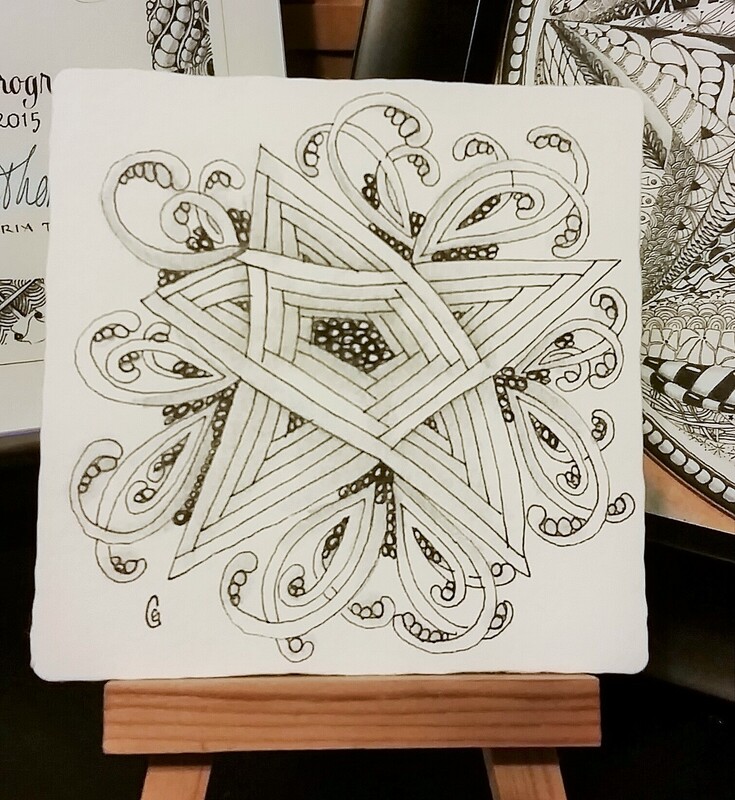 Show us your Zendalas!